Migraines are more than just severe headaches. They are a neurological condition, and within this category of migraines, there are a number of different types that are distinguished by some of the accompanying symptoms. 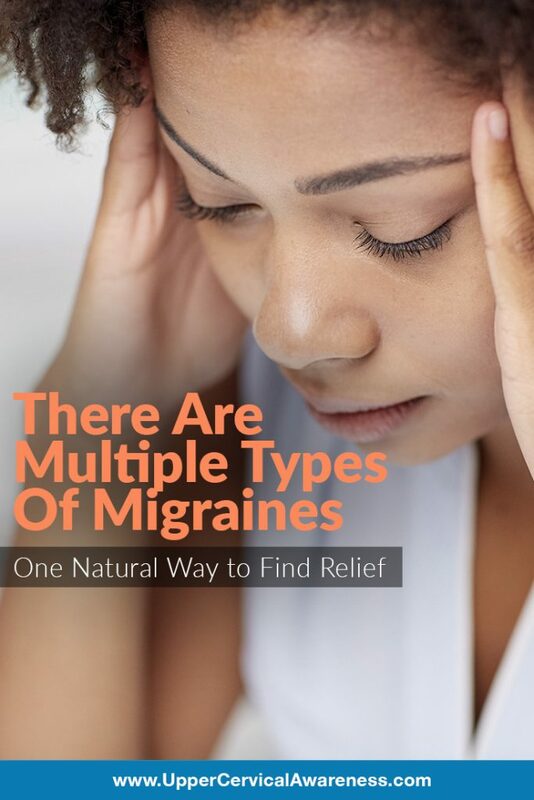 Here are some of those different types of migraines and a natural means of getting some relief. While most migraines include a moderate to severe headache, sensory sensitivities, and nausea, certain types of migraines come with their own symptom set. Here are some examples. Abdominal Migraines – Nausea and vomiting, as well as abdominal pain, are common symptoms of this type of migraine. They are also more common in children than adults. Basilar Migraines – This type of migraine is known for visual disturbances. For example, a patient may experience blurred vision or even temporary vision loss. Hemipelagic Migraines – This is a rare type of migraine that can actually cause temporary paralysis on one side of the face or body. The migraines are usually accompanied by aura and can last for several days, a week, or longer. Migraine with Aura – Aura occurs before the migraine itself and often involves visual disturbances, speech problems, and other sensory issues. Some of the sensory problems may also occur during the migraine. Ocular Migraines – These are sometimes called retinal migraines because the primary symptoms are visual and may occur with or without a headache. For example, temporary blindness may occur, certain portions of vision may be temporarily lost, or the person may see what appears to be twinkling lights. One of the biggest issues with migraine care is that many still treat the problem like a headache and simply take a pain reliever. Not only will a pain reliever not help the many additional symptoms of a migraine, but it also doesn’t do anything to affect the underlying problem. Thus, migraines may continue to occur or even become chronic (more than 15 migraine days per month). Upper cervical chiropractic provides help for migraine sufferers by going after a common underlying cause, a misalignment of the atlas (C1 vertebra). If you suffer from migraines (including the types noted above), especially if you have a history of head or neck trauma, set up a consultation with an upper cervical chiropractor near you to learn more.